At Nikko Japanese Restaurant & Sushi Bar, we strive for greatness. We don’t want to be just another sushi bar serving up okay sushi and Japanese cuisine. 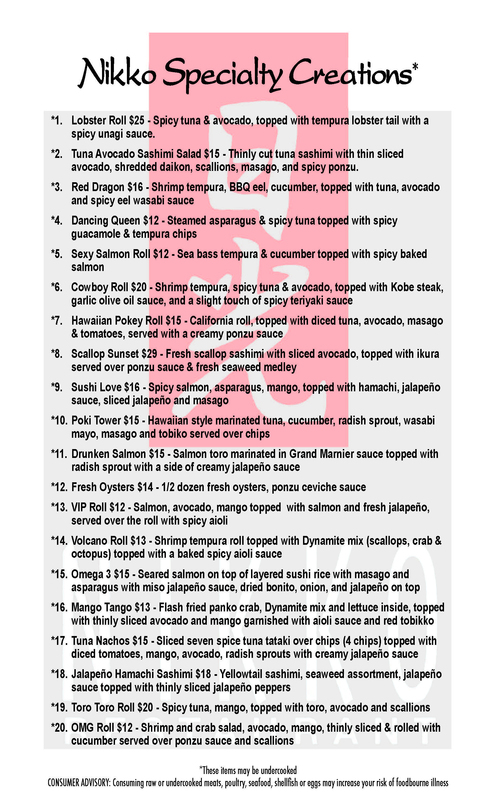 This is why we only employ top-notch sushi chefs. One of the greatest things about having world-class chefs is not only their reliability when it comes to turning out amazing sushi, but also their ability to think outside the box and leverage their expertise and experience to come up with some unique specialty creations.